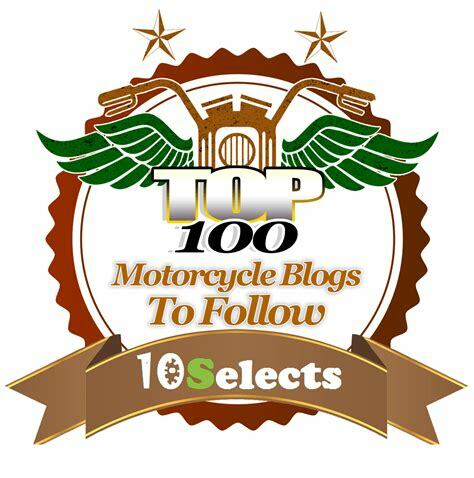 About this motorcycle blog | I JUST WANT 2 RIDE!! I began riding, according to my mom, at about age five. Some of my best memories as a kid involve motorcycles. My dad was a Honda guy and we had a variety of trail bikes including the iconic Honda Trail 90. I enjoyed motorcycles so much as kid my High School class ring had a dirt bike on it (I will do a bad weather post on that someday). But, like many men, I set it aside for family. 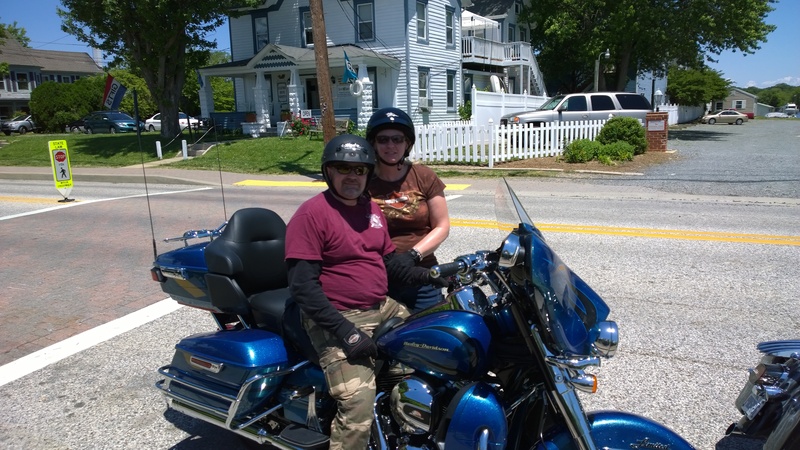 Then in 2008 Debbie and I “graduated” from the Army after 25 years and as a gift to ourselves we bought a new Harley. A few years later the bike had 29,000 miles (plus we are on our second touring bike in addition to the first motorcycle)! Debbie had no real motorcycle experience before this and now she has her endorsement and a bike of her own. We have been to rallies (Daytona, Myrtle Beach, Mountain Fest), and places (Tail of the Dragon, Skyline Drive, Blue Ridge Parkway) and have had a great time getting there! We have entered our first bike in some bike shows and have done well. In retrospect I think that both of us wish we had gotten behind bars sooner. So, why a blog? Primarily I do this “blog stuff” because I like to document things. I have always enjoyed reading about what people do (I have a BA in History) and thought that I should do the same. While I never thought that this activity would go much beyond my immediate family, I have been pleasantly surprised by the attention the blog has received. It has resulted in thousands of views a month and a gig as a host on a weekly motorcycle internet radio show (The Dawg House). The Dawghouse started as a regular, terrestrial, radio show on one of the most popular radio stations in the Washington DC metro area, WJFK. But the radio station changed its format, motorcycle racing and culture was not part of that new formant and the Dawghouse was dropped. After that the show moved to the internet and has never looked back. Broadcast live Tuesdays from 6-8PM (Eastern Standard Time) the show’s podcasts are downloaded from the website, iTunes and other podcast sharing sites tens of thousands times each week. The DawgHouse covers motorcycle racing of all types: MotoGP, Super Cross, AMA Daytona Sportbike, AMA Superbike, British Sport Bike (with its own reporter), Flat Track, Motorcross . 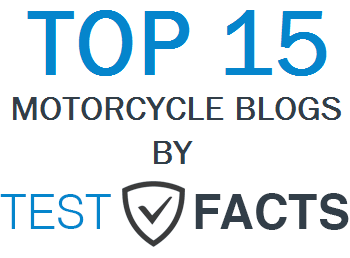 We also discuss new developments with all the major and minor manufactures as well as general motorcycle news and culture (or lack thereof on individual cases) from around the world. Thanks for dropping by my page. You have two things in common with the hubby, motorcycles and the army 🙂 Keep riding. Love your idea of a bucket list. Making one myself for when I retire. Told my wife to expect me to be gone for quite awhile to do some cross country traveling. She is completely ok with it haha. Skyline Drive/Blue Ridge Parkway…two of my favorite places to ride in the States. Take care and ride safely!!! I retired in 2008 after 25! I booked marked your website, nice! I have ridden several of those rides in the capitol area already, but there are a few that I will be trying out this summer. I am also going to attempt to hit all the C&O canal sites that are accessible by street bike this summer. The bucket list is getting longer, and I am not knocking off as many as I hoped LOL Maybe one or two this summer. If you didn’t, check out the motorcycle rides section, I usually write a little about every ride we take. Great page! I hope to one day have my blog be as nice looking and informative as yours! Keep up the good work! We should ride sometime… I’m not far from Frederick, MD. My name is Lois from Motolegends and I have been enjoying reading your blog. Great photos of your canal road trip and also the Skyline Drive. They gave me some serious wanderlust. Here at Motolegends we are huge fans of custom bikes, so much so we launched a competition where you could win our Triumph Bonneville that we’ve had customised to look exactly like the bike David Beckham rode on his adventures around the Amazon in his BBC documentary Into the Unknown. We researched the look, sourced parts and with help from our mates at FCL Motorcycles, Cranleigh we’ve now got a pretty good looking bike that’s as close to the original as we could make it. Sure, send me the info and I will toss it up on my blog and/or my twitter site (@ijustwant2ride). I just put a Twit up about the link you included in the comment. Sorry just saw this reply Warren. That’s great. Many thanks. Do you have an email address you can send me so I can send you the articles and link to images? What a great idea you had here! Clearly it caught on. I love to ride (just not in back) and come from a family of bikers. Since I don’t have a ride, don’t have a bike right now but I’m a CMA member/supporter, I suppose I’m just an old, die-hard bike enthusiast. I look forward to reading more of your posts!